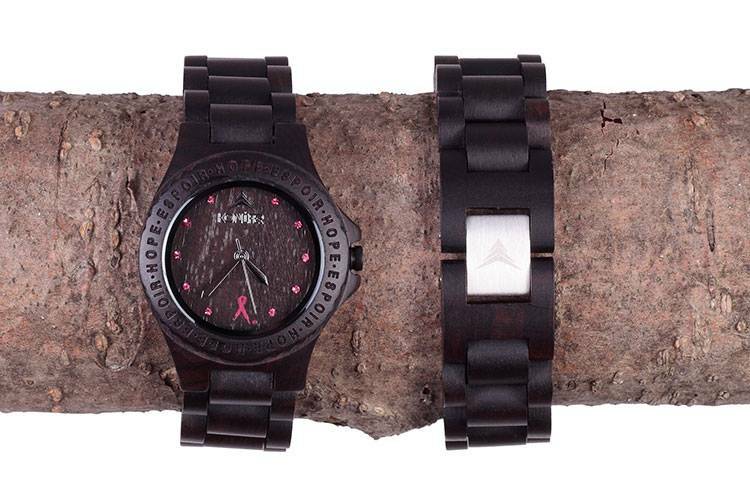 If you want a piece of jewelry you'll enjoy every day, choose a stylish wooden watch. 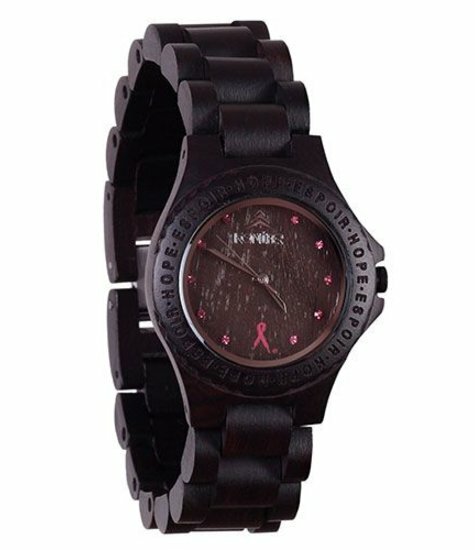 The Pink watch from Konifer not only tells time and adds a stunning accent to any outfit, it supports a good cause. 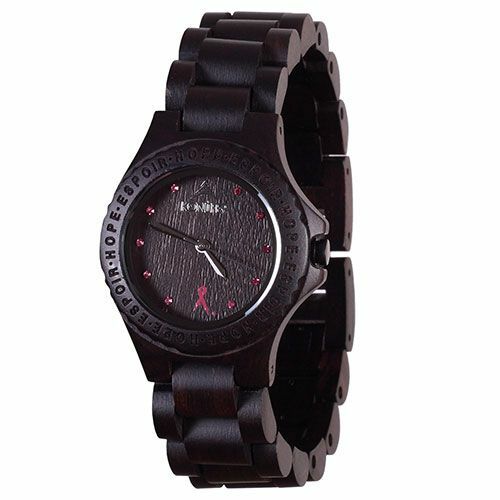 The Pink wooden watch is a special edition created in support of breast cancer awareness. It includes a small detail of the pink breast cancer ribbon on the face and five dollars of the purchase price goes to the Quebec breast cancer foundation. Because every piece of wood is unique, each band looks slightly different with a unique grain pattern. 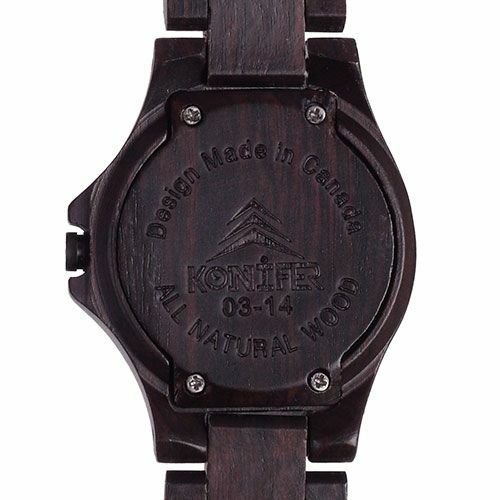 The ebony band is finished with a non-toxic oil for a subtle luster and only weighs about 40 grams. Every Pink watch is handmade for exceptional quality and comes backed with a 5 year warranty.